Public relations is about telling your brand’s story and increasing your company’s brand awareness among target audiences. It builds your brand reputation by strategically placing your company’s story in target publications. But just because you understand that public relations is valuable does not mean you’re ready to implement a robust strategy. It takes focus and commitment. Do you know what you’re trying to achieve? Why do you think you need public relations—do you need to change a perception? Want to raise awareness for an issue or change legislation? Messaging for each type of campaign varies, as does the target audience. In order to measure the success of a public relations campaign, benchmarks and goals are essential to your strategy. Do you know your competitors and target market? You must know your competitors and your target market—this is the foundation of any public relations strategy. There are very different target audiences and public relations tactics when spreading brand awareness to reach potential clients than telling industry peers about an innovative product launch. Can you identify why your company is unique? Being able to convey why your company is different is key to your public relations strategy. Saying ‘we make the best widgets’ isn’t enough. You need to explain how your widgets are the best widgets and tell your brand story of being a fourth generation family-owned business. This type of information and brand story builds on the foundation of your strategy. For example, when you buy products from Tom’s of Maine, you’re not just buying toothpaste, you’re dedicated to a sustainable environment. Do you have anything to say? For public relations to be as effective as possible, you need to have something to say. That something should have news value to capture the interest of reporters, bloggers and social media influencers. Without a solid news angle, such as your company just won a major industry award, hired a new top executive or launched a new product, generating interest or buzz is difficult. Are you willing to be transparent about your company? Your public relations team has to be able to speak about your company as if it were their own. This requires them understanding it inside and out. You must be prepared to share with your team not only the good news, but also the not so good news, even potentially damaging information, so that they aren’t caught off guard. Public relations is a team effort, and you need to convey all company news to your PR team so that it can successfully navigate through any reporter’s questions and concerns. Are you willing to drop everything to meet a reporter’s deadline? Your public relations team needs be able to reach you at a moment’s notice, not just between the hours of 9 a.m. and 5 p.m. If a reporter calls at 9 p.m. and you’re not available to answer questions, an article could show up on the front page of the Wall Street Journal the next morning with something such as, “A representative from X company could not be reached for comment,” which may place your company in a crisis position. 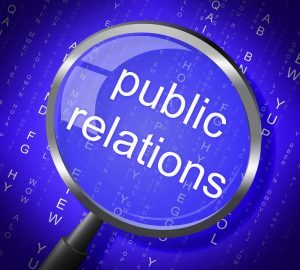 Public relations can be your best friend, but it can also backfire if you are unprepared for the availability it requires. Do you have a budget? The U.S. Small Business Administration recommends that you spend 7-8 percent of gross revenue on marketing/advertising, which includes public relations, if your company is doing under $5 million year and your net profit is 10-12 percent. Meanwhile, a recent survey of CMOs confirms that spending has steadily increased, with up to 12 percent of company revenue being allocated to marketing efforts. These figures vary based on industry, and in an aggressive consumer market, spending should be higher to compete. More time equals more resources, which equal more dollars. Thirty years ago, there were not as many places for public relations, the world was dominated by print, television and radio. Now, with the evolution of the internet and social media, there are many more channels on which to spread and monitor your company’s message. Are you willing to listen and follow your team’s recommendations? You hired a firm to come up with creative, innovative strategies and ideas. Their recommendations are based on hours of intensive research and industry intelligence. Victoria Hurley-Schubert is a public relations and social media specialist CMA. Are you ready for public relations that separate you from the competition? CMA can help! Contact us at 800.852.4269 or info@cmasolutions.com.